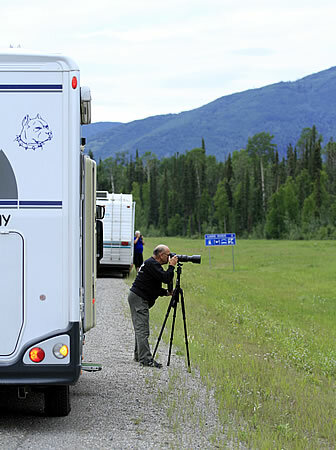 Guide to driving the Alaska Highway — A list of accommodations including lodges, motels, roadhouses, campgrounds and RV parks plus some excellent scenic and historical stops and roadside facilities along the Alaska Highway are being put together in the following pages of this guide. Fireside Roadhouse and RV Park reopen in late May 2014 with a sit in or take out restaurant along with the full service RV park plus a lot of room for dry campsites too. Fireside is a historical roadhouse along the Alaska Highway. The lodge and RV park is located in the far northern reaches of British Columbia and not too far from the border with the Yukon Territory. Fireside Roadhouse is found at the confluence of the Kechika and Liard Rivers. Directions — Fireside RV Park is located at milepost 543 of the Alaska Highway. Description — Fireside offers large, level, well drained sites with water, sewer and 30 amp electric along with dry sites and numerous tent camping sites too. Additional Amenities — Restaurant, Motel, Minor Repairs, Pull-Thru Sites, Big Rig Friendly, Family Friendly, Pets Allowed, Tent Camping, Bicycle Camping, Bathrooms. 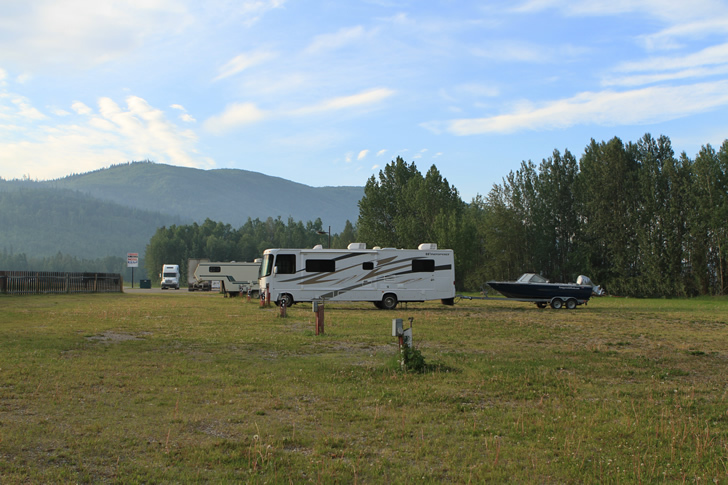 Fireside RV Park and Lodge on the Alaska Highway is for sale. Here is a great opportunity to own a historic roadhouse lodge with a working RV park in one of the Alaska Highways most desired locations.